Hunt Cabin Open House: All Hallow’s Eve! All Hallow’s Eve is almost here! Visit the Cabin to sit by the warm fire, watch the flames dance and twirl. Many Halloween traditions bought to the mountains predate Christianity, harking back to the ancient Celtic festival Samhain, a phrase that translates as “the end of summer”. 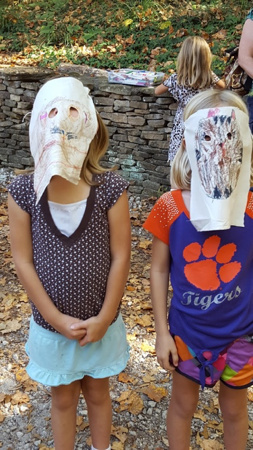 Enjoy a “soul cake”, make a Halloween mask, and find out how Halloween was celebrated in the 19th century South. An event for all ages; come for a while or stay for the whole time. Free, donations support educational programs.